4 Sales Reviews That Every Organization Should Conduct Routinely! In meeting with sales executives and global account managers who exceed their revenue goal each year, discussion invariably focuses on the benefits of four review processes that pave a pathway to sales success. Successful sales executives meticulously conduct four types of sales review processes: Win-Loss Analyses, Global/Strategic Account Reviews, Must-Win Reviews and Funnel Reviews. Let’s look briefly at each. While we celebrate our wins, we find it painful to lose a deal after investing our time and energy. Best in class sales organizations (and top producers) want to know the reasons for the losses and the best practices that resulted in the wins. 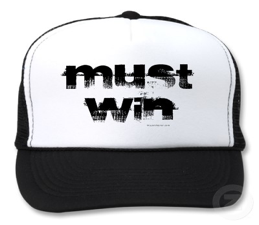 In every selling opportunity ask your customer at the beginning of the sales process: “Win or lose will you agree to conduct a win-loss analysis with us?” If you receive this commitment upfront it’s rare that the buying organization won’t honor it after they award the sale. Consider hiring a third party firm to conduct these reviews so that the information received is unbiased and accurate. Create a formalized interview process. Don’t just ask open-ended questions, ask for rank order or a rating of statements. Begin with easy questions and move to more difficult. You don’t need to conduct a win-loss analysis on every sales opportunity, but you may identify a cross-section of wins and losses from small, medium and large accounts or different market segments. Develop a few hypotheses regarding each opportunity under review. For example, you may hypothesize that your team didn’t connect with the senior buying influence early in the buying process. Or, you may suspect that previous experience with your company may have laid the groundwork for a successful sale. Then use the review process to assess the validity of your hypotheses. The win-loss analysis can also provide competitive intelligence about what competitors are doing or saying in their calls and presentations. Use the win-loss interview to check whether the selling team understood the buyer’s needs and interests; and to confirm the selling team’s understanding of the buying process. A win-loss analysis can be extremely helpful during a new product introduction or “roll out.” It can provide excellent insight into 1) how buyers are receiving the product, 2) the impact of marketing materials, 3) how sales representatives are positioning the product, 4) your messaging and 5) buyer assessment of price. Assign someone within your organization to ensure that win-loss reviews are being done and schedule a formal meeting at a minimum of each quarter to discuss the results so that your strategy can be adjusted accordingly. 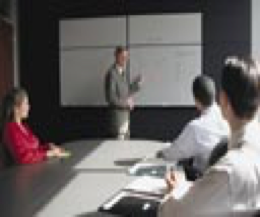 Global and strategic accounts deserve the full attention of all aspects of the selling enterprise. A good account review process will energize and guide the account team. Twice a year, account executives should re-visit their account strategy. Some organizations in the technology sector require that their global and strategic account teams conduct a two-day review processes at the beginning of every year with a one-day re-evaluation mid-way through the year. Other organizations may require or request a quarterly review. When conducted properly, the strategic account review process yields several benefits that can drive the selling process. The account review process will help your team develop a better understanding of the market forces facing your customer. Every account review process should result in the development of a relationship “map” that targets connections within the buying organization that needs to be developed, improved or strengthened. At the heart of every strategic or global account review is a communication plan that connects your team and enterprise members with key decision influencers and stakeholders in the buying organization. The review should establish what the team needs to learn from buying influences, the value message to be conveyed and an agreed upon timeline. Account reviews should include a white space diagram that illustrates what products are being sold to the account, where your competitor has a strong-hold and the white space where there is opportunity. Every account review should focus on the defined and measurable value that could or is being provided to the account. Sellers must always remember that their customers are buying results not products. Account reviews provide a candid assessment of your competitive landscape including the competition’s support network within the buying organization. Account reviews can help you assemble a profile of urgent executive-level initiatives facing the organization; the initiative may be an “early warning” sign of a future selling opportunity or partnership. A best practice in holding global and strategic account reviews is to invite one or more members of the buying team to share their thoughts on the challenges they face. This “voice of the customer” can help you identify future sales opportunities and obstacles that your company may be positioned to help them overcome. Many companies find that joint planning not only ensures buy-sell coordination but effectively aligns the needs of the buying organization with the capabilities of the selling organization. Every sales representative has several opportunities in their funnel that they consider must win opportunities. These opportunities could be essential to make their revenue goal or product mix quota (if part of their compensation package). The value of a must -win deal review lies in the collaboration among the participants (team members, executives, technical specialists). Each can provide ideas, suggestions and insights that reflect different perspectives. They can help the seller identify strengths that can be leveraged, raise concerns and offer potential next steps for consideration. Often the sales representative is immersed in the details of the selling process and may overlook elements of strategy or key points of information. When sales managers and sales representatives invest the time to review the sales funnel together good things happen. Working together they ensure the funnel is filled with opportunities they have a reasonable chance of winning. They also verify that each opportunity is aligned with where the buyer is in their buying process. Lastly they verify which opportunities will close that month. A Funnel review helps the sales representative to identify and prioritize “must-win” sales opportunities. The review process allows both the sales representative and the sales manager to Identify and allocate critical resources early in the selling process (for example, internal executive sponsorship, technical support, pricing authorization, discovery of alternative financial models). Funnel reviews provide insight on best practices for attacking stalled accounts. 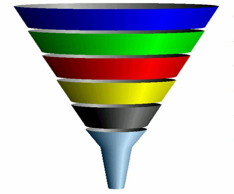 Many sales representatives are faced with funnels that include stalled accounts. Should they invest more time? How should they attack the opportunity? Are there other more pressing sales opportunities? Funnel reviews can help the sales representative realign the buy-sell processes for global or strategic accounts. At a minimum funnel reviews should be scheduled monthly with each sales representative. These four sales review processes can help sales representatives allocate their time, access additional resources and discover best practices. On the sales management end, reviews improve forecasting accuracy, resource allocation and overall sales productivity. 2016 is already underway. Plan your sales reviews now! As always we welcome your thoughts and input. Let’s start a discussion and elevate the sales profession with a thoughtful, civil and informative discourse.